This is an example of the works in this gallery. 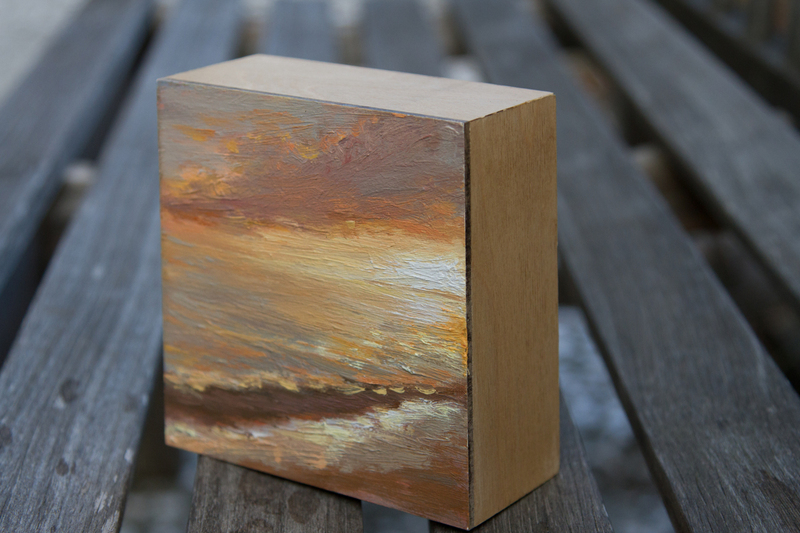 These are small works in oil, painted on wooden blocks. The sides are unpainted and they do not have wiring on the back. The height and width dimensions are as stated and they are all 2" deep. They are perfect for placing on a mantel, bookshelf, desk, dresser, or any flat surface!